That vast flow of dollars coming into the country is needed to pay for the imports that the Philippines relies upon, and it relies upon imports because it has no local industry. The matching outflow of exports is almost entirely raw materials, with a very low value. The country is basically selling itself, piece by piece. And it’s STILL running massive trade imbalance (exports lower than imports). Expulsion of all Filipino workers from foreign countries is probably the best thing that could happen to this place. It could easily be justified on the grounds that the Philippines makes it difficult-to-impossible for foreigners to work here or operate businesses, ie., there is no reciprocity. A ban on travel would have similar effects. 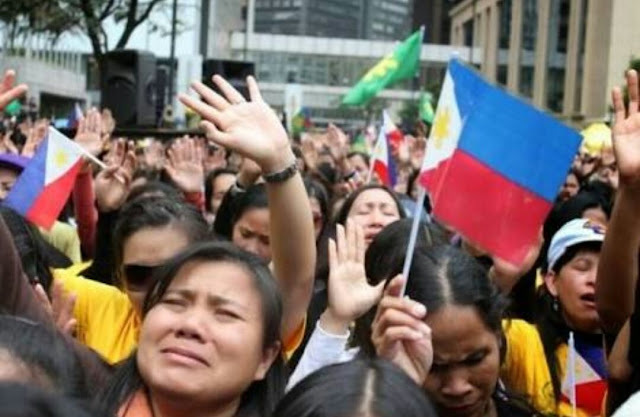 The import-based economy would instantly collapse, and the government would either be forced to restructure the laws that prevent Filipinos from earning an honest living, or risk a revolution.